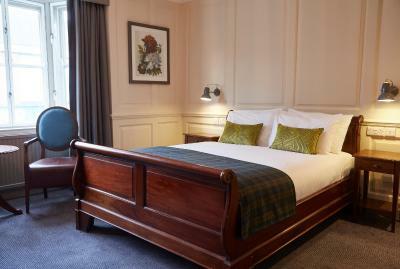 Lock in a great price for Swan Hotel by Greene King Inns - rated 8.5 by recent guests. 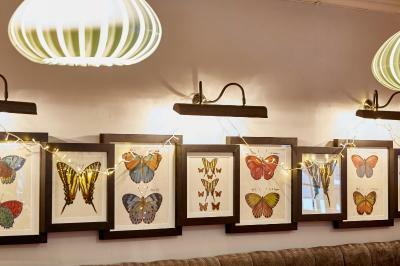 The food was excellent and the staff were attentive and polite. 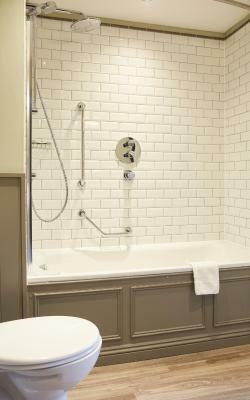 The room was clean and tidy and an unusual shape, bathroom was clean and the shower was very good. 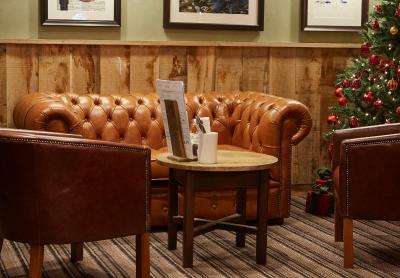 Comfy seating areas, friendly polite cleaning domestic staff. Friendly welcome and assistance on arrival. 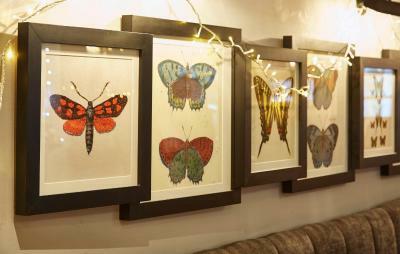 Room decor was nice and homely. Staff very accommodating and friendly. Handy town centre location with free car parking. Comfortable bed. Staff were friendly and helpful. Location suited as less than 100yds from where I was attending a meeting. Food was OK but just "chain" pub food. Room was basic but comfortable, was very hot and unable to open windows so had to wedge open the front door. Bathroom was good and shower was great. 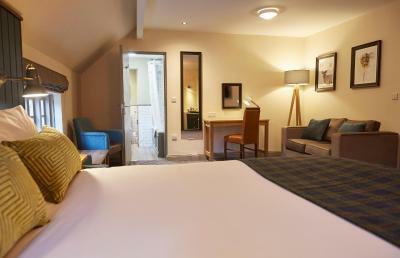 Spacious comfortable rooms. Excellent cooked breakfast. Friendly staff. TASTEFUL DECOR; EVERY FACILITY. FOOD EXCELLENT. BEAUTIFULLY DECORATED AND SPOTLESSLY CLEAN ROOM. Location, original room we booked a double were given a twin right up in the eves of hotel stuffy awful room but got another room when my husband complained. Second room bed was on a slant so your feet were higher than your head bed was made very bad and the room was dark and smelled of dog. 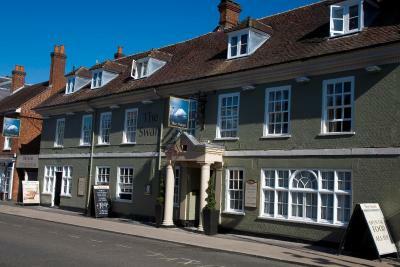 Set amid the shops on Alton's main street, the Swan Hotel is a historical building that dates back to 1377. 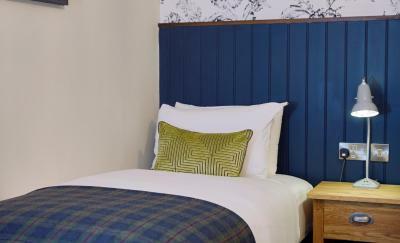 It offers a free car park, full English breakfasts in the modern restaurant, and free Wi-Fi. 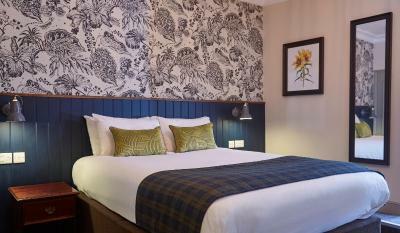 The comfortable en suite bedrooms come with a TV and tea and coffee facilities. The restaurant serves a varied menu until 22:00, every day. 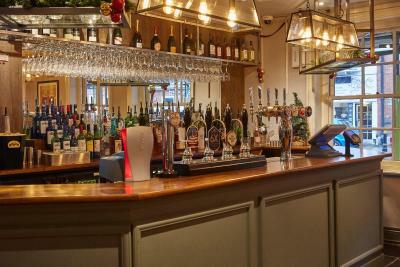 The bar and lounge offer bar meals, cask ales, premium lagers and fine wines. 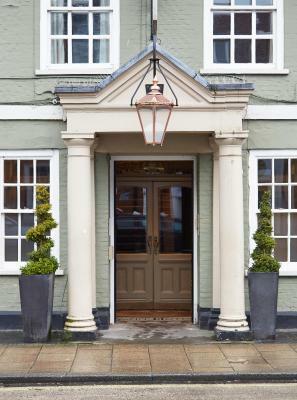 Swan Hotel is less than 2 miles from Jane Austen’s Cottage in Chawton. The cottage is where 'Sense and Sensibility' and 'Pride and Prejudice' were written. The Watercress Train Line runs from New Alresford to Alton and is home to Thomas the Tank Engine. 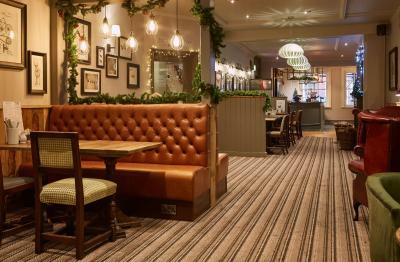 Swan Hotel by Greene King Inns has been welcoming Booking.com guests since 6 Oct 2006. 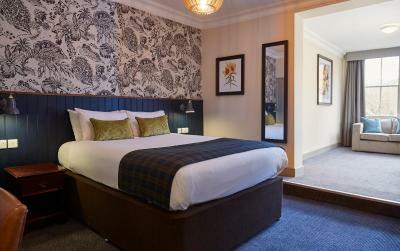 When would you like to stay at Swan Hotel by Greene King Inns? 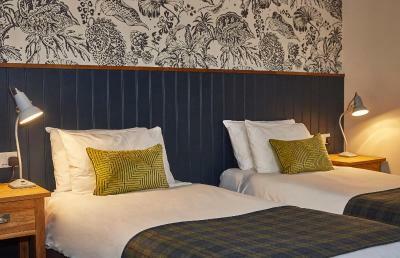 These rooms feature an en suite bathroom, a TV and tea/coffee making facilities. These rooms are also larger than the standard rooms. There is room to work as well as relax. 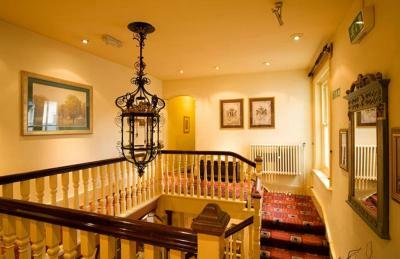 First mentioned in a rental document in 1377, the Swan hotel is an iconic building, set in the old market town of Alton. A tavern and hostelry, it was listed in 1674 as having 18 chambers, a parlour, kitchen, brewhouse, malthouse, old kitchen, and wine and beer cellars. 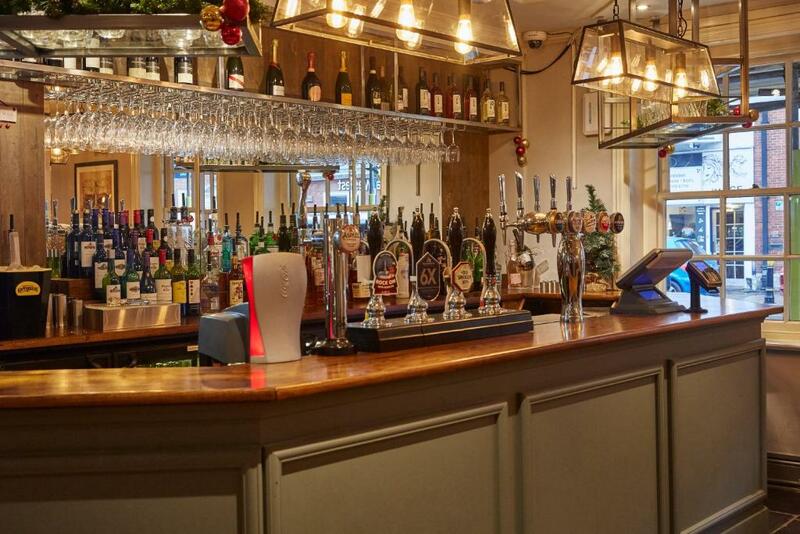 It was further developed in 1777 to become the coaching inn you see today. 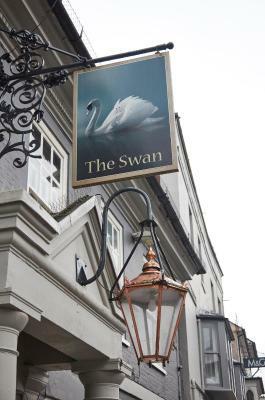 The Swan would have been well known to famous local residents; author Jane Austen and naturalist Gilbert White. Henry Ford and the actress Merle Oberon once stayed whilst Ford was on the way from Southampton to his Dagenham plant, and Kathleen Kennedy, sister to the American President, John F. Kennedy, moved in for a time shortly after her marriage to William Cavendish, the Marquess of Hartington. 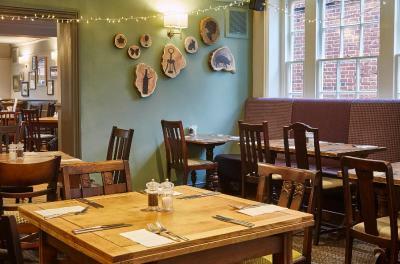 This charming hotel is the perfect setting to enjoy dishes from our seasonal menu, accompanied with a great range of cask ales, premium lagers and fine wines. 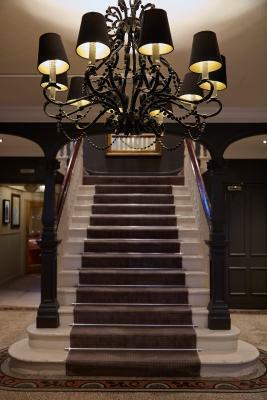 House rules Swan Hotel by Greene King Inns takes special requests - add in the next step! 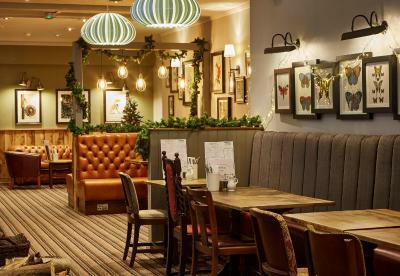 Swan Hotel by Greene King Inns accepts these cards and reserves the right to temporarily hold an amount prior to arrival. 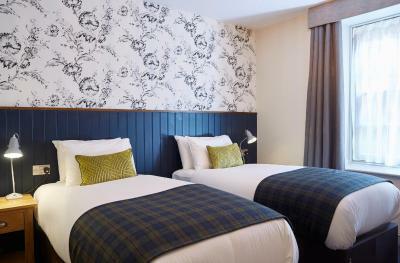 The fact I had booked a double room and got a twin and the room was cold, went back down to reception to ask if they had a double room, thankfully they did. Room was freezing when we arrived, not easy to carry big cases in and out, no lifts. Bar very busy as was friday night, no where to sit. Very good location, easy checking in. I didn’t really like the bed as it was 2 beds pushed to get her rather that a double bed so found myself rolling in the gap through the night so didn’t have the best night sleep. Also both myself and my partner found the room freezing at night. So when paying £152 for one night I would have expected a better bed and at least a warm room. Also no one told us what time breakfast was serving and there are no notices in the room either. I tried to call reception in the morning many times but just got an answer machine so this wasn’t great either. Love how clean it was! The room was spotlessly clean, fresh and new, quiet, spacious and very comfortable. The bathroom was also exceptional, large and clean with a great tub/shower combination. The staff was so friendly and helpful. Parking was very easy right behind the hotel and the breakfast was wonderful. 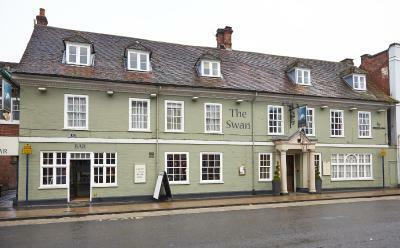 It was an all around great experience staying at The Swan. The toilet roll was rather on the cheap side, a minor point but a crucial one. 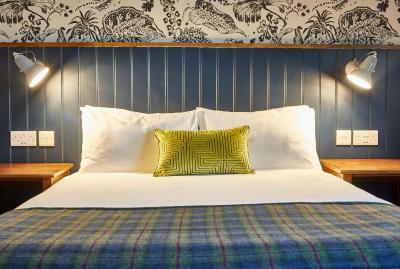 Comfy bed,good cider(spells) very good food . Rooms were stuffy and shower flow wasn’t great. Had to wait at both check in and check out for a member of staff to appear. Breakfast croissant was doughy and hollandaise thin. Could have been cleaner and better looked after. 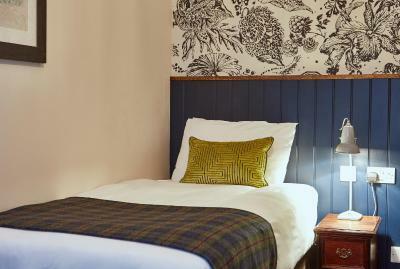 Decent value, comfortable stay in nice surroundings. Bed linen was clean but bed was hard. Room hadn't been cleaned thoroughly as a screw was left on the floor by the bed. When I returned to my room on the evening after being out all day, the room hadn't been serviced. Also glad I wasn't there during the week as the equipment on the roof outside the window would be very noisy when switched on.